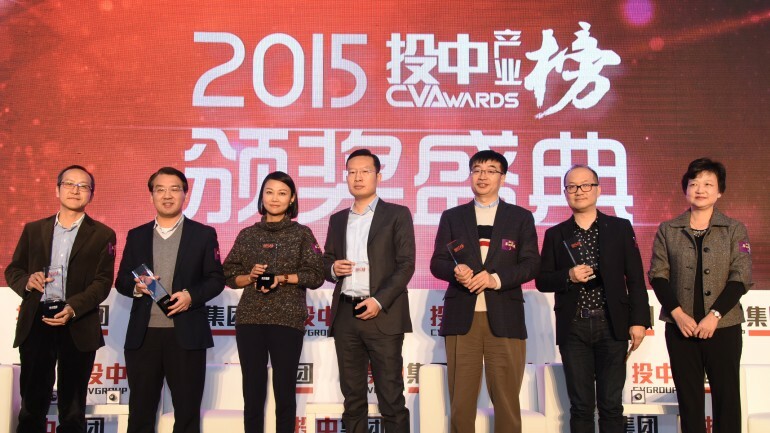 Posted on 15, December 2015 by EuropaWire PR Editors | This entry was posted in Awards, Germany, Investment, Media, Technology, Telecom and tagged Bertelsmann, Bertelsmann Asia Investments, “2015 China Top 10 VCs in the TMT Industry”. Bookmark the permalink. In addition, Annabelle Long, BAI’s Managing Partner, was named as one of the “2015 China Top 10 Investors in the TMT Industry” in direct recognition of her investment decisions. Long is also Chief Executive of the Bertelsmann China Corporate Center and sits on Bertelsmann’s Group Management Committee. The recent financing round of one of BAI’s best-known holdings, the Chinese mobile-shopping platform Mogujie, also goes to show that the two awards are well-deserved: Since June 2014, following a US$ 200 million round of financing, Mogujie, founded in 2011 has been a member of the exclusive “Unicorn” club, meaning that investors and analysts assess its worth at over one billion US dollars. Now the Hangzhou-based company has raised another US$ 200 million in a new round of financing, further increasing its value. The Mogujie social network specializes in fashion for young women and is now the largest of its kind in China. Around ten million people currently use the network every day and spend over US$2 billion a year via Mogujie. At the last “Double Eleven” sales event on Nov 11, the country’s biggest online shopping day, Mogujie set a new record, generating turnover of 100 million Yuan (US$15.56 million) in 51 minutes and 37 seconds. In addition to enhancing existing services, the newly raised funds from investors will be used to expand financial services for its online shopping customers. BAI was one of the first investors to recognize Mogujie’s potential. Together with Trust Bridge Partners, the Bertelsmann fund provided its founder Chen Qi and his team of 20 employees with a million dollars of “angel” financing at the time in February 2011. BAI also participated in the subsequent A, B and C series of financing rounds, acquiring a significant share of the company in the process. A shareholding whose value – in parallel to Mogujie’s development into a unicorn – has risen almost continuously since then. BAI was founded by Bertelsmann in January 2008 and concentrates on new media, the Internet and mobile Internet, online education, new technology, outsourcing, and services. The fund currently has direct investments in 50 startups as well as five shareholdings in other funds. Launched in October 2014, the BAI offshoot BetaFund, which specializes in early-stage financing, is now involved in a total of nine startups, two of which have already been transferred to the large BAI fund for follow-on financing. In the past four years, BAI has been repeatedly listed among the top 50 investors in China thanks to its success.